“Happy are those who are persecuted!” says Jesus. But then the Supreme Court of all supreme courts – God Himself – begins to deal with me, reminding me of the persecution that Jesus endured for my sake. He reminds me that a servant is not greater than his Master and if Jesus went through it for me than I can go through it for Him and for the sake of others. The apostles in the book of Acts come to mind, and I marvel at how they went away rejoicing after being arrested, imprisoned, and beaten for nothing more than preaching the Good News. Perhaps the greatest witness to me though came while I was eating supper in the cafeteria at the US Center for World Mission in Pasadena, California. I had gone through the line grumbling with friends about the lousy food (it wasn’t really that bad – most meals were quite good!) when I noticed an elderly Chinese man sitting at a table by himself. Since he looked up at us invitingly, we joined him. Our new acquaintance reveled in the meal that we spoke so disparagingly of, and though his English was very limited, we could all sense a joy and a peace, even a gentle glow about him that made it seem like we were in the presence of Jesus Himself. As the conversation progressed, I was amazed by his positive attitude, his warmth, and his obvious love for the Lord and for others. It was apparent to all that his relationship with God went deeper than most of ours, and I wanted to glean as much as I could from him so that I too could know God in the deep and intimate way that he did. I wanted the contentment, the joy, the peace, the abiding happiness that He seemed to have. As it turned out, I would have plenty of time with Pastor John Ding as he moved into the dorm room right next to mine. 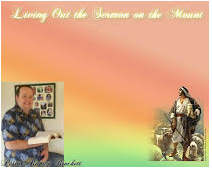 As we got to know each other more through a translator and we spent more time together, I found the secret ingredient that had driven Pastor Ding to develop such an intimate relationship with the Lord. It was persecution that did it. Pastor Ding had been in a Chinese prison most of his life. Whenever they let him out, it wouldn’t be long before he was arrested for preaching on salvation or the Second Coming of Jesus Christ or some other doctrine that was forbidden by the government. They beat him, kept him awake for days on end, hung him by his thumbs, pulled out his fingernails, and did all sorts of other unspeakable atrocities in order to get him to forsake the Lord and stop preaching. Pastor Ding never did stop; the persecutions made him cling to the Lord rather than forsake Him. Persecution is the refining fire that strengthens and deepens our dependence upon the Lord and our relationship with Him because it identifies us with Him. After all, when God allows us to endure persecution, He is not calling us to do anything that He didn’t already do in Jesus Christ. Contemplate this: God Himself – the King of Kings, Lord of Lords, Almighty God – took the form of a man in Jesus Christ and allowed Himself to be insulted, persecuted, falsely accused, beaten and whipped, and crucified on a cross. And He did it with joy in his heart because of his love for you and for me. He did it that we might be forgiven our sins and live with Him forever. The very thing that He did for us, then, God calls us to do for others. We are to share in the sufferings of Christ by living a godly lifestyle and standing up for Him. We are to declare the love of God in Jesus Christ even when it costs us something. And when we are persecuted for righteousness, when we are persecuted for our stand with Him, we are happy and blessed because we know we are being identified with Him. Persecution is confirmation that we belong to God. And we know that because we belong to Him we have peace with God, abundant and eternal life, power in prayer, and countless other blessings. We are not greater than our master; if He endured persecution and even painful death for us, so that we can have these blessings, can we do any less for Him? Pray with me: Jesus, thank you for dying on the cross for me and for forgiving my sins. Thank you that I am right with you and I look forward to going to heaven and being with you forever. Please forgive me for whenever I have let you down. Help me to live for you, no matter what the cost. I want to be identified with you – you endured hardship and died on the cross for me – and I want others to see you in me. Help me to boldly stand for you at work, at school…continue praying according to your own life situation…. To be a part of the conversation about the article above, or even if you just want to read what everyone else is saying about it, go to the Persecuted Because of Righteousness Comments Page. This article is Day 4 of the 40 Day Devotional; the next devotional is Day 5.